Take a small bowl. Add minced beef tenderloin, then add cooking wine and salt to taste. Mix well to marinate for about 20 minutes. Cut tofu into cubes (1 cm) . Heat up water in pan and then add tofu. Scoop tofu out after boiling 3 minutes. Drain the water for later use. Heat up oil in pan, add 2 tablespoons soy bean paste. Stir fry evenly on low heat. Add marinated beef tenderloin, and add 1/2 tablespoon white sugar. Stir fry evenly. Pour 1 small bowl clean water in pan. Bring it boiling on high heat. 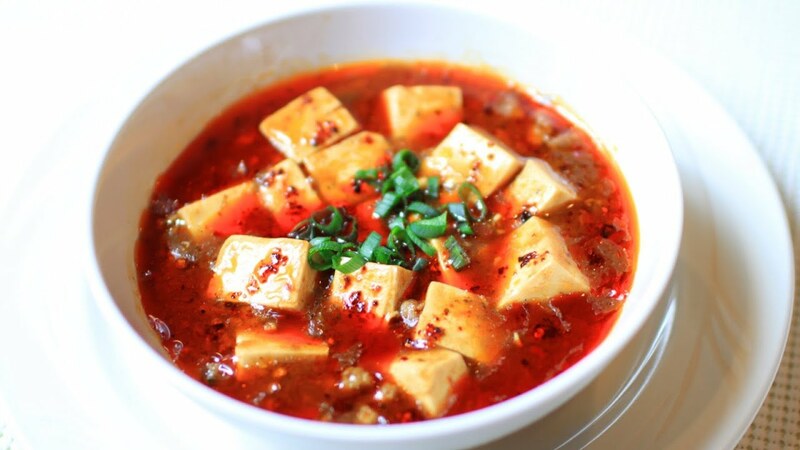 Add tofu cubes and pepper powder (base on your taste) . Sprinkle sliced garlic bolt. Continue to boiling. Take a small bowl, dissolve starch with water in the bowl. Pour starch water in pan to make the soup get thick. You can serve it after bringing it boiling again.